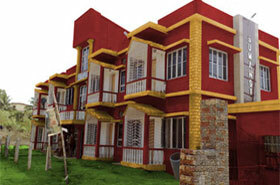 Suman's 2 is the successor of the most popular Hotel Suman's at New Digha. This new rest house is always ready to serve the tourists with most comfortable and modern lodging facilities. Suman's 2 is growing its popularity very fast for its well decorated, spacious and attached balcony rooms. 24hrs Water & Electric Attach Bath Rates will be introduced shortly.